Arlene Groch is a 2013 Niche Award Finalist!!! 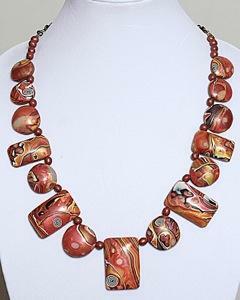 This means that Arlene’s work will be displayed at the Philadelphia Buyers Market of American Craft. She’s not sure which piece she entered was selected. I think it’s a safe bet it would be any of them. This means Arlene is moving in some pretty fast company. What do I mean? 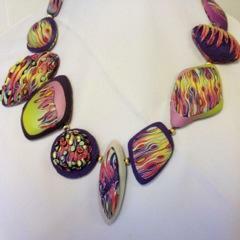 Check out the 2012 list of polymer clay finalists here. For more information on the Niche Awards, press here.